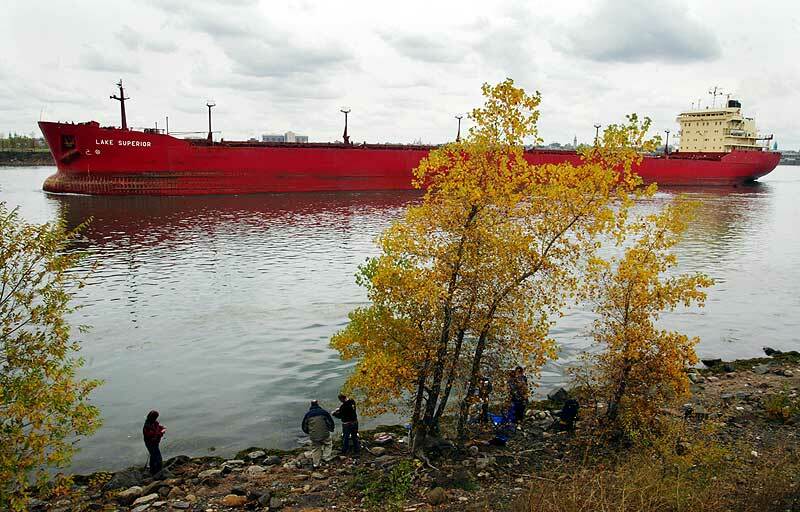 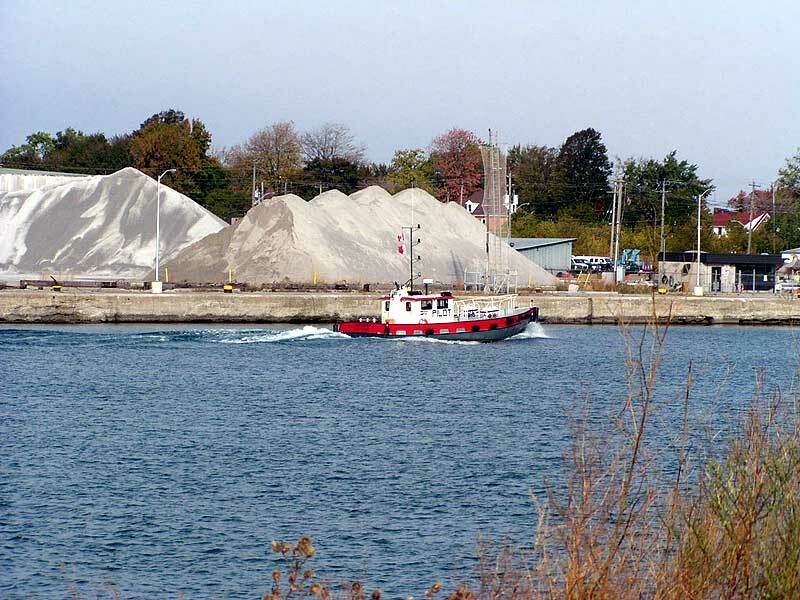 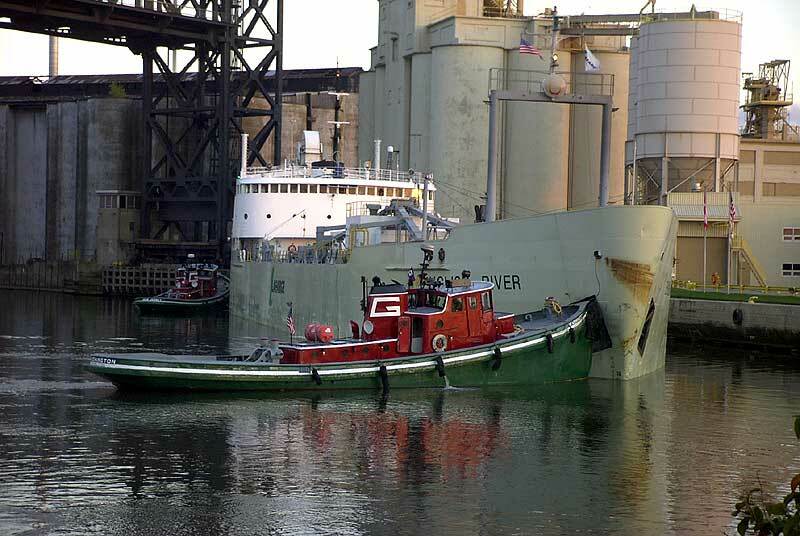 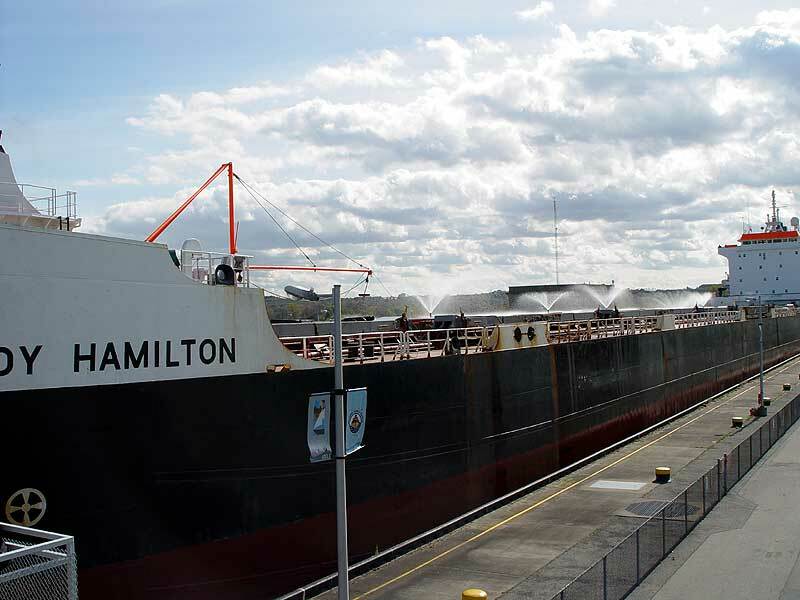 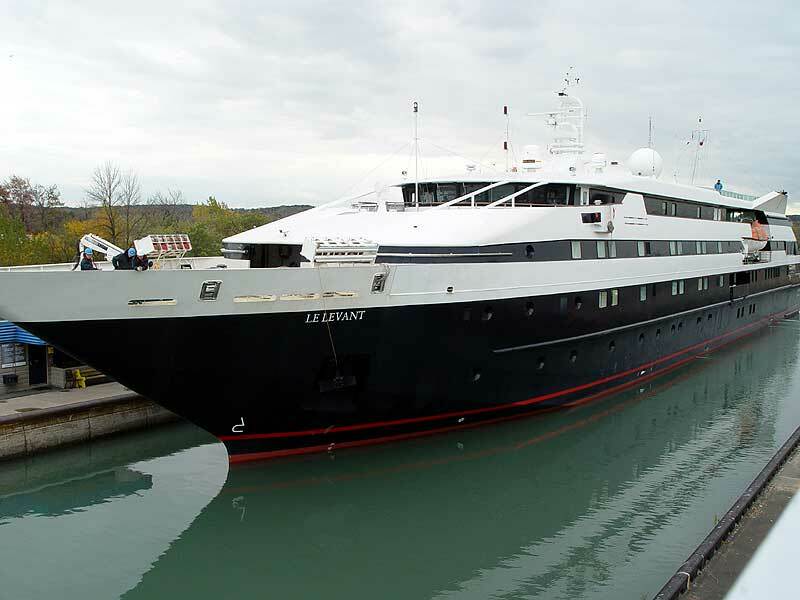 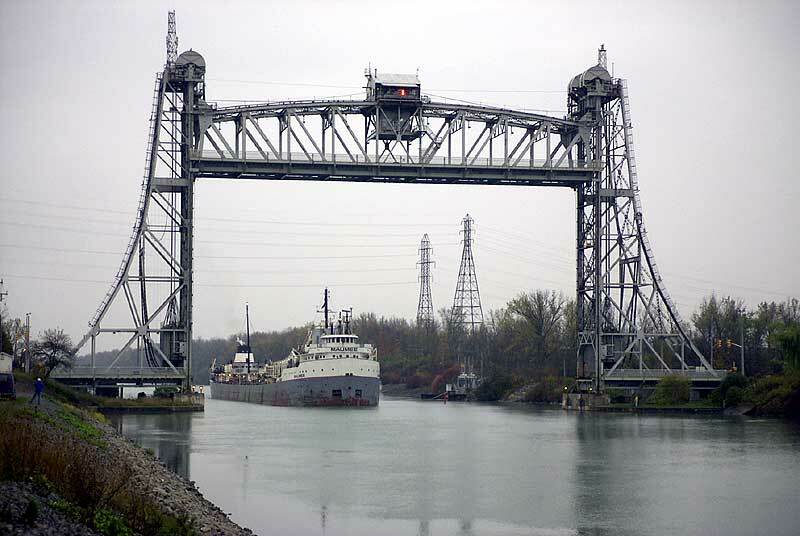 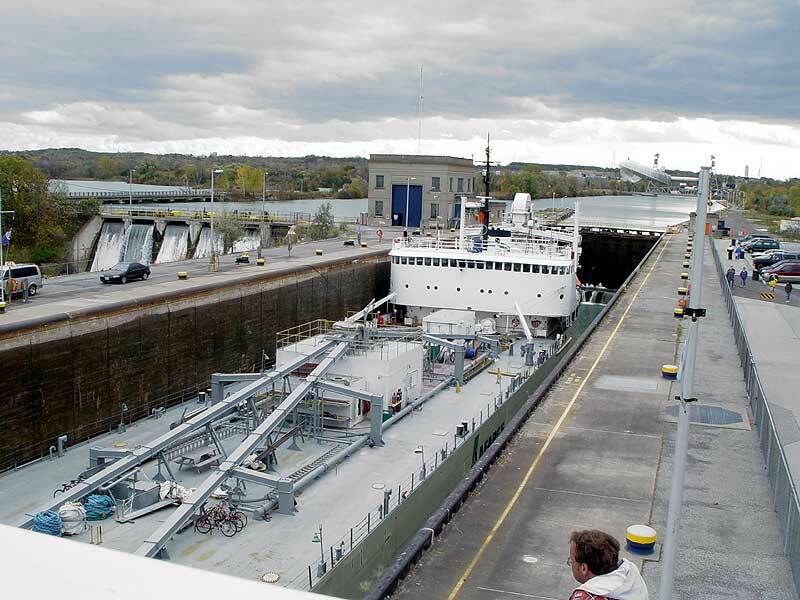 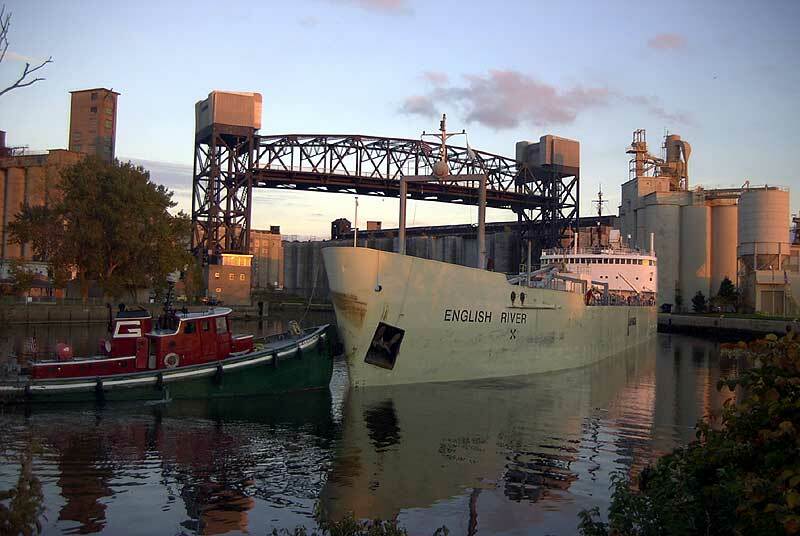 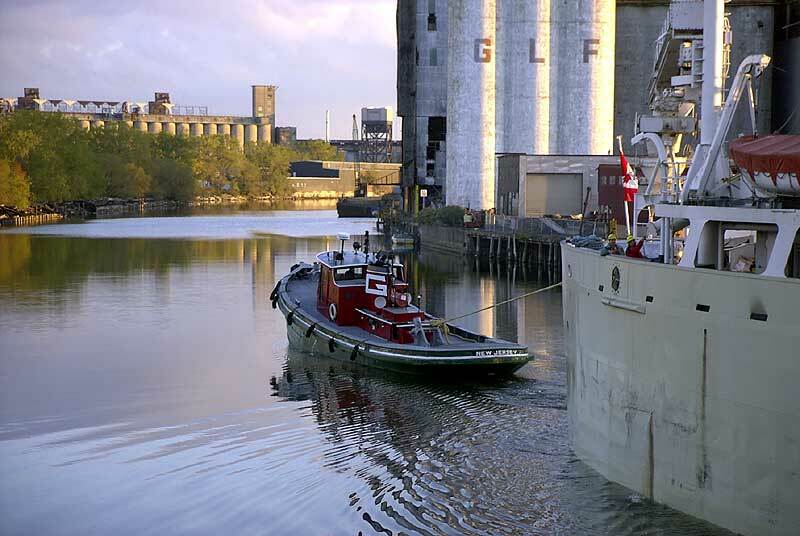 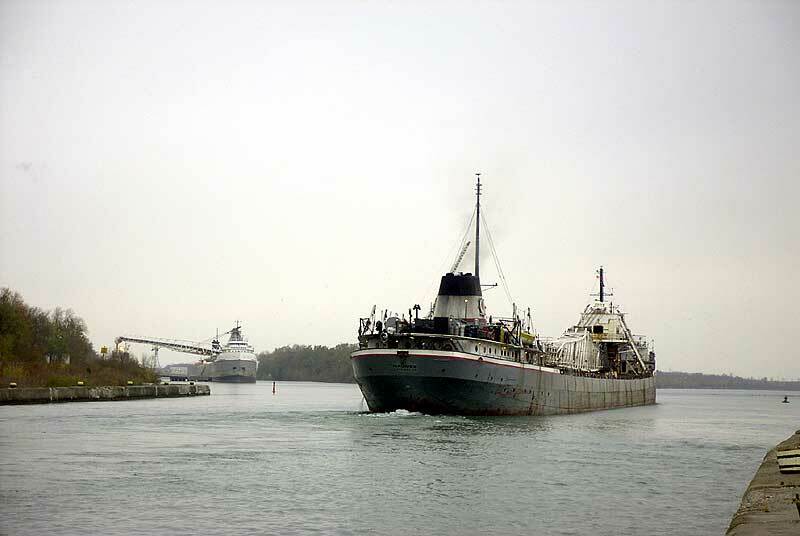 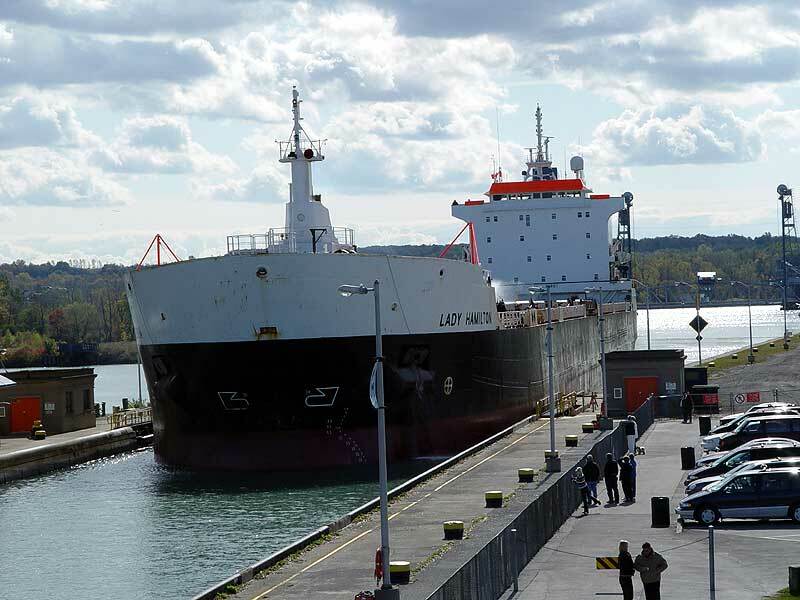 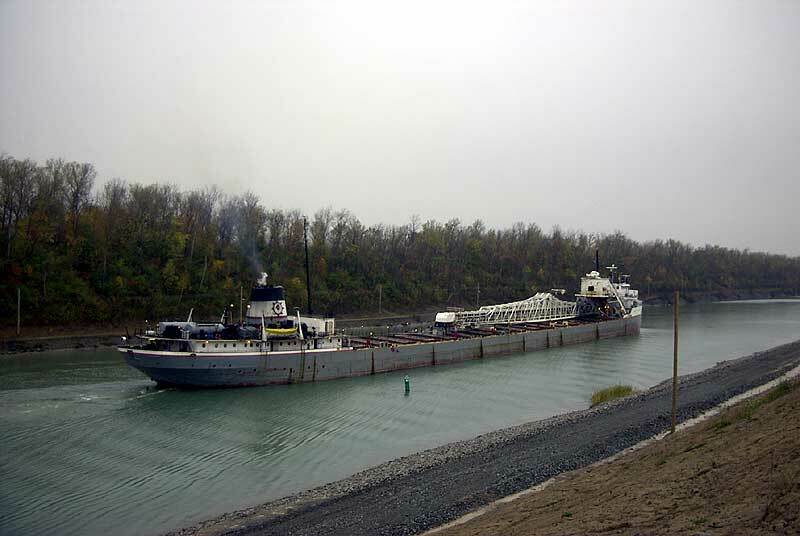 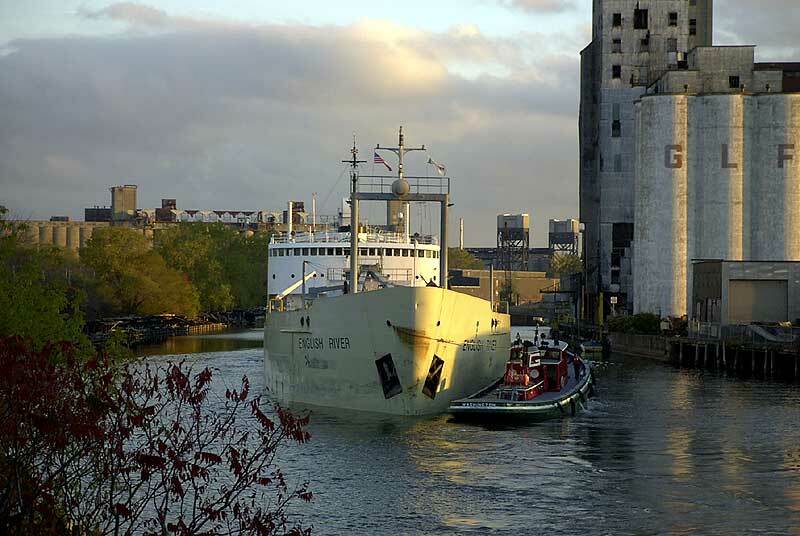 Nearly 100 vessel enthusiasts from the U.S. and Canada attended the Fourth Annual Boatnerd Gathering East, held Oct. 17-18 at the Welland Canal. 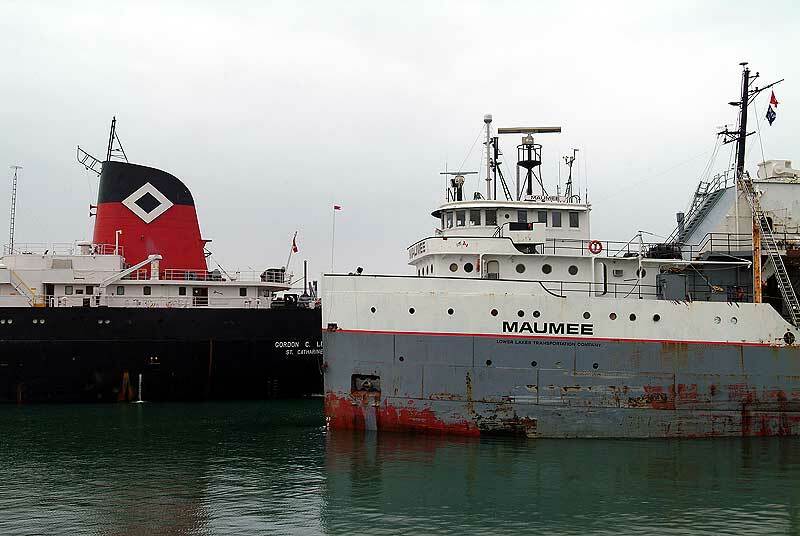 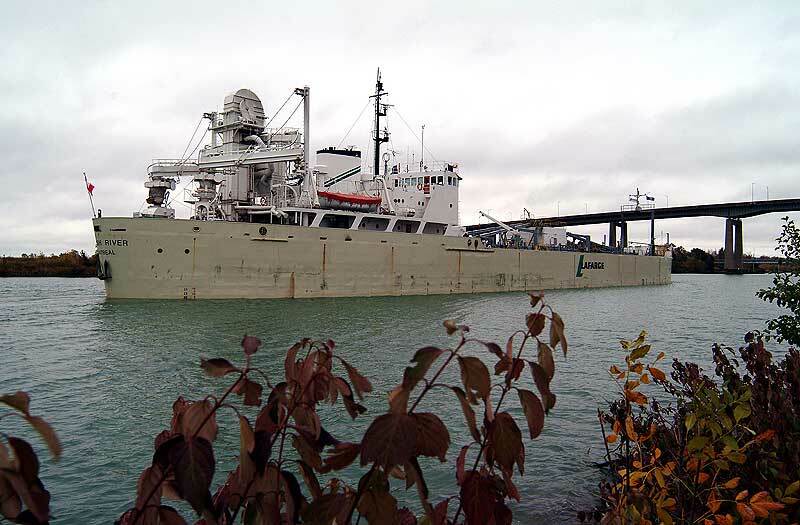 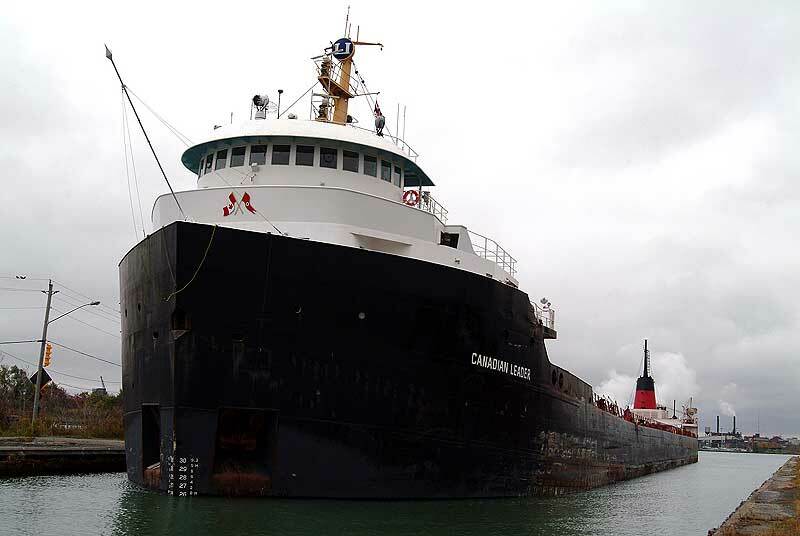 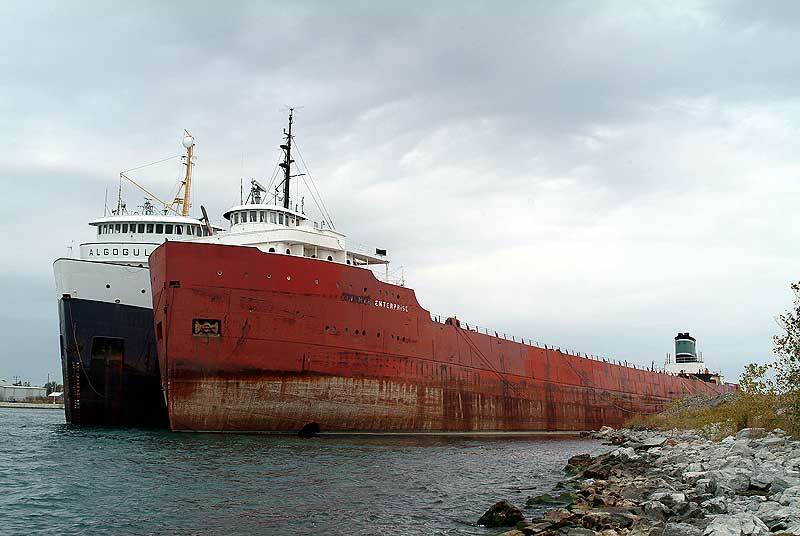 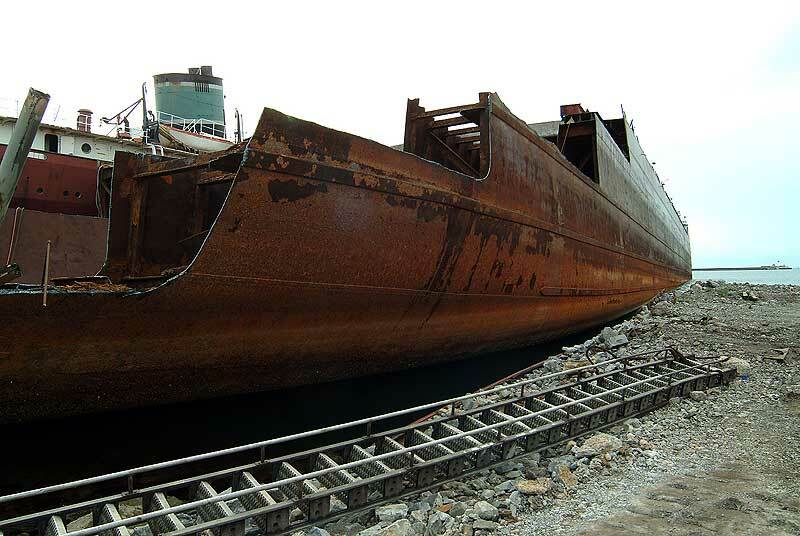 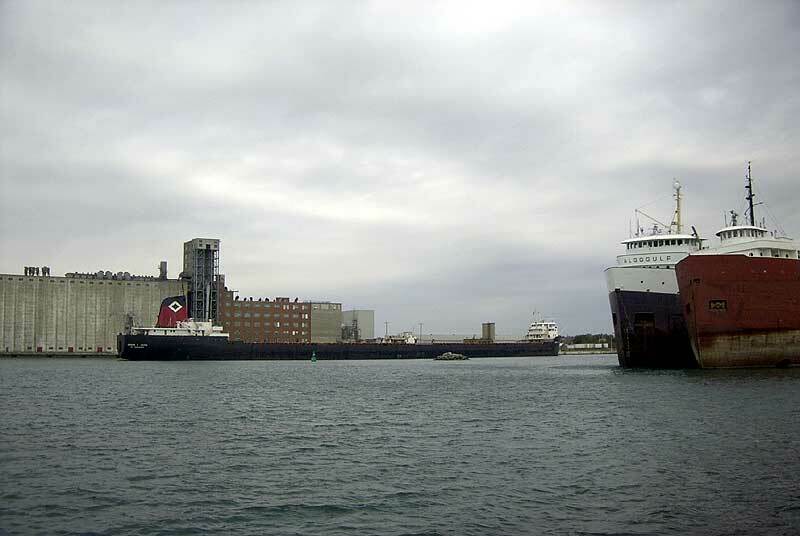 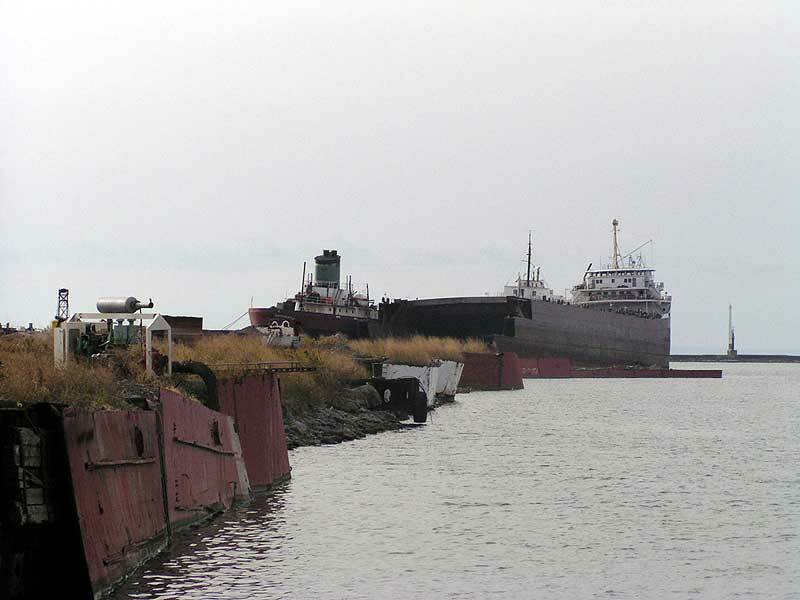 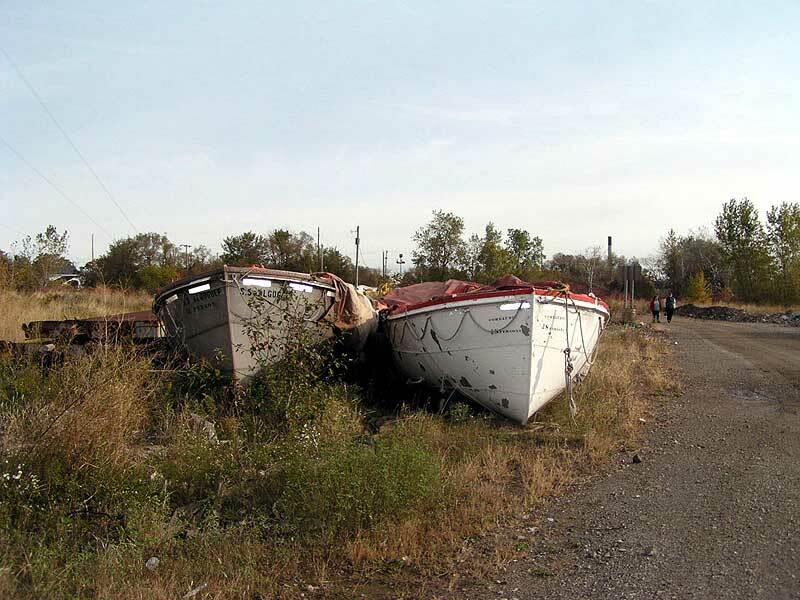 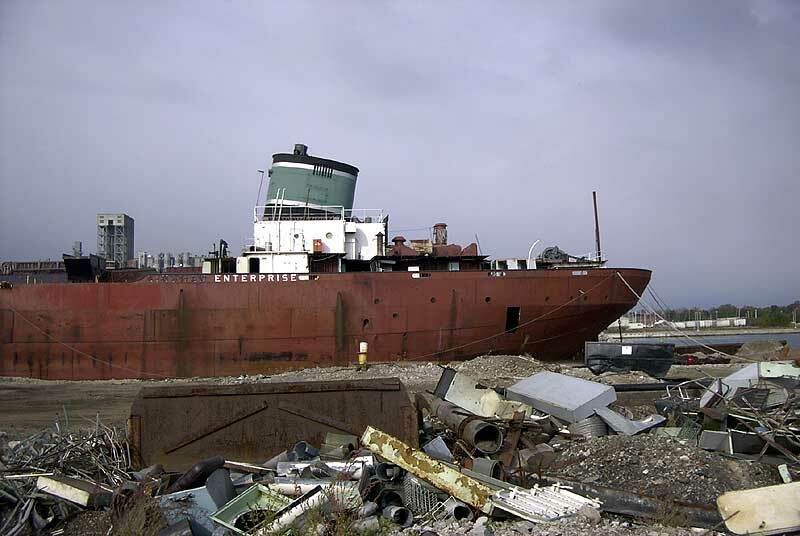 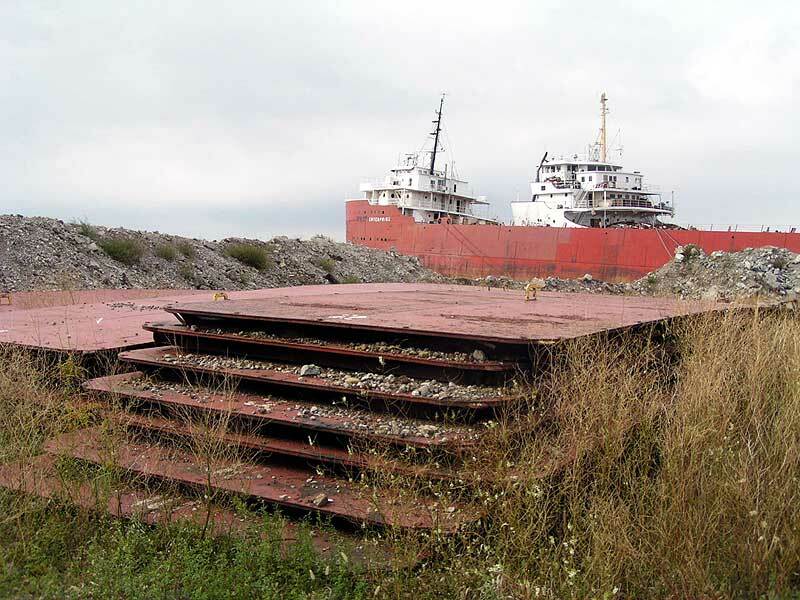 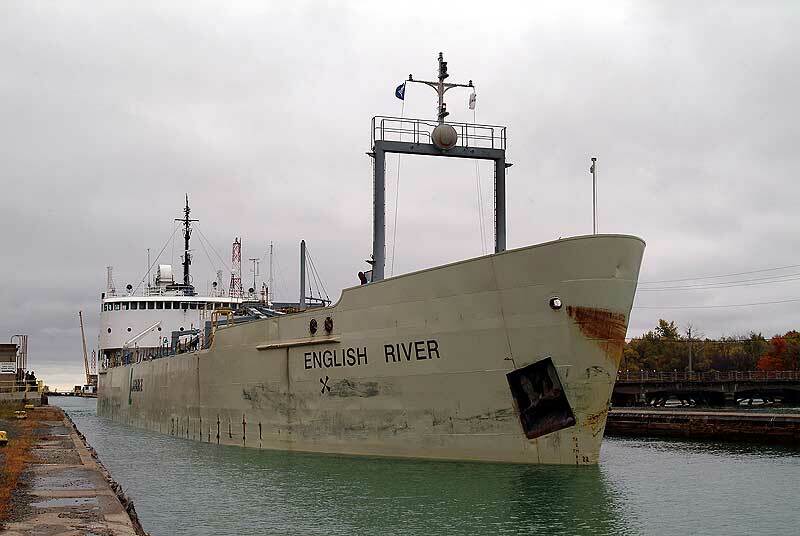 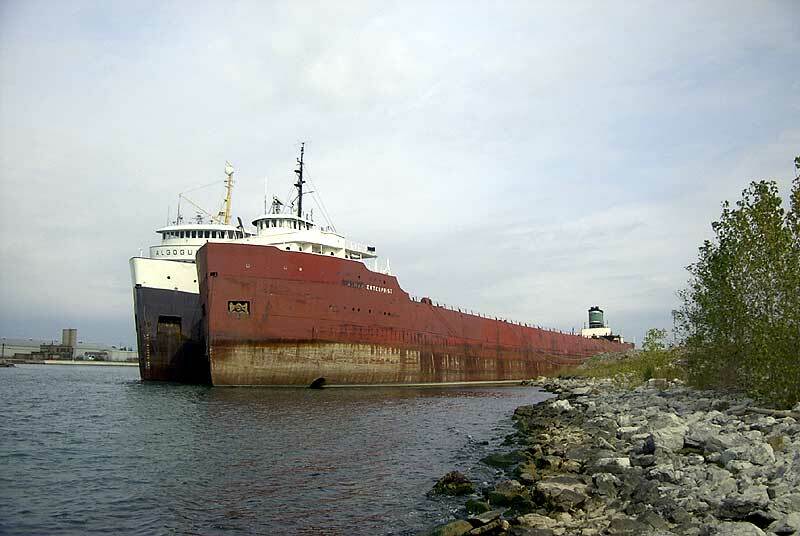 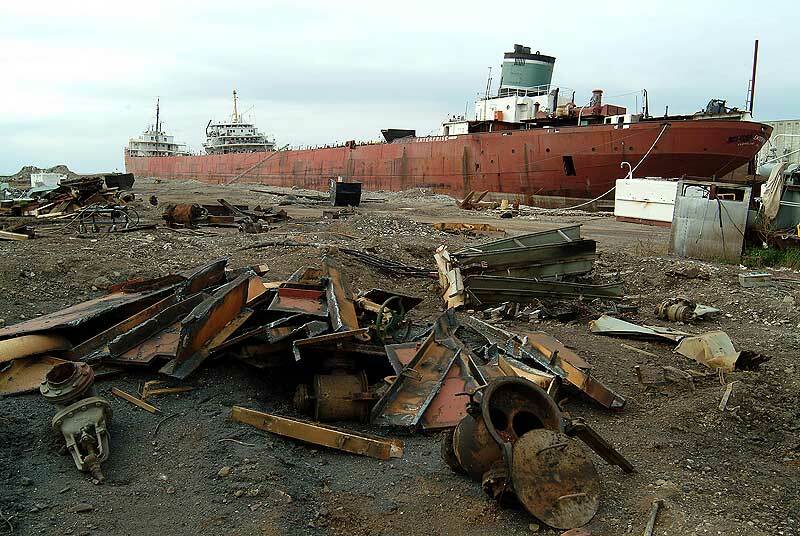 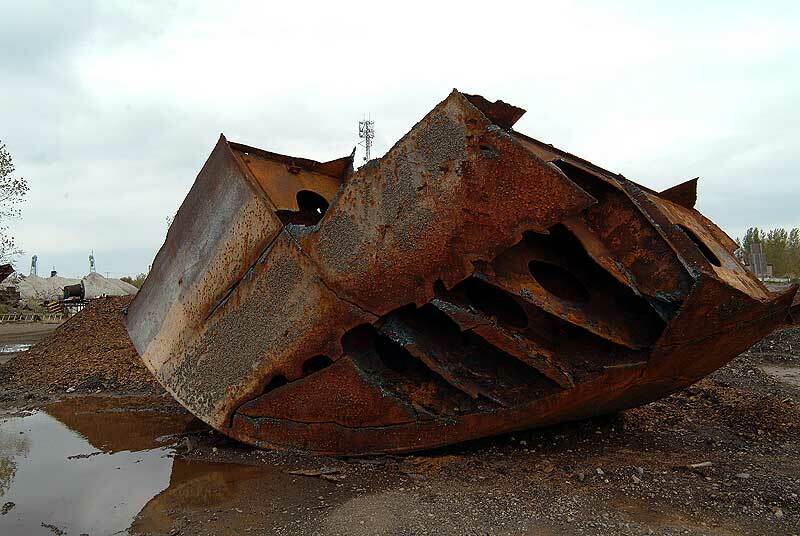 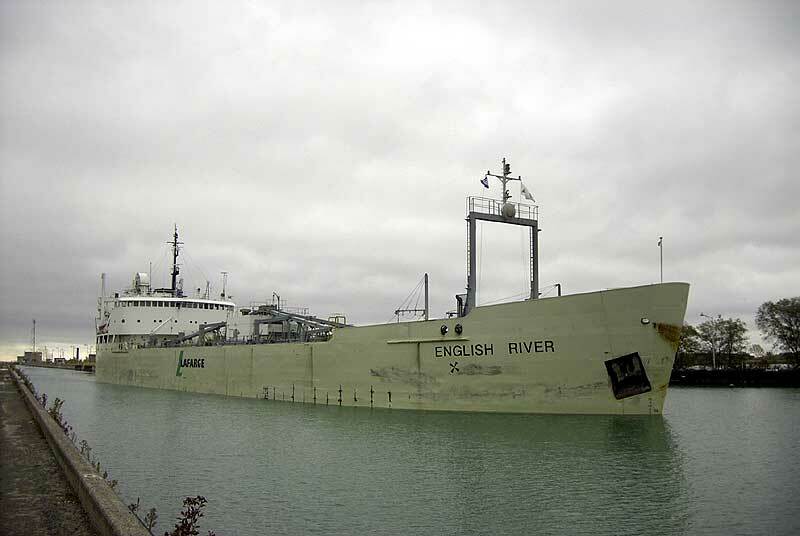 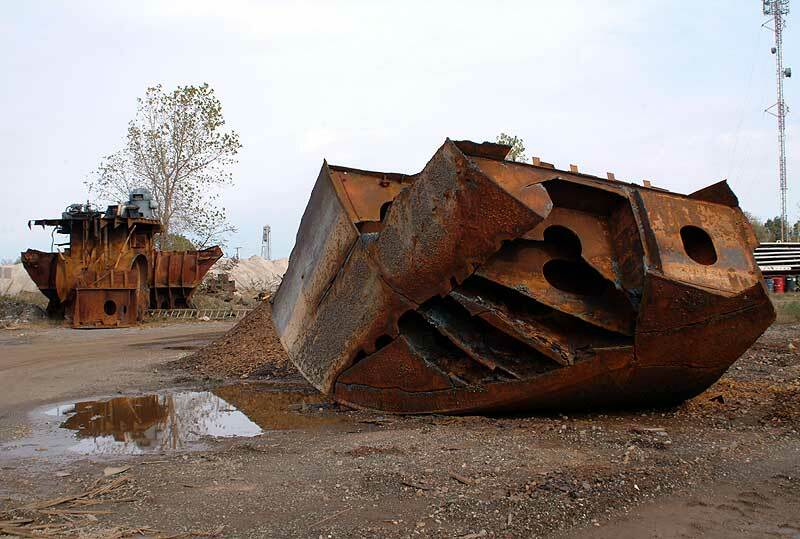 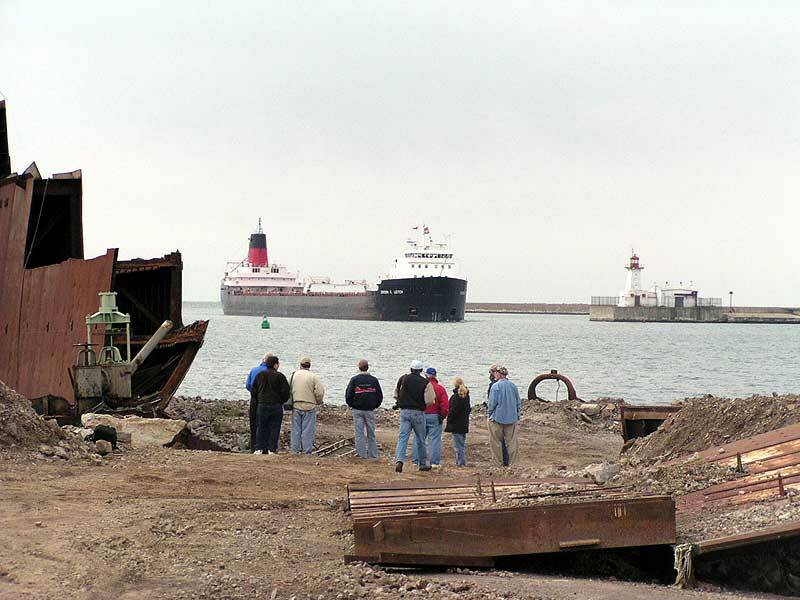 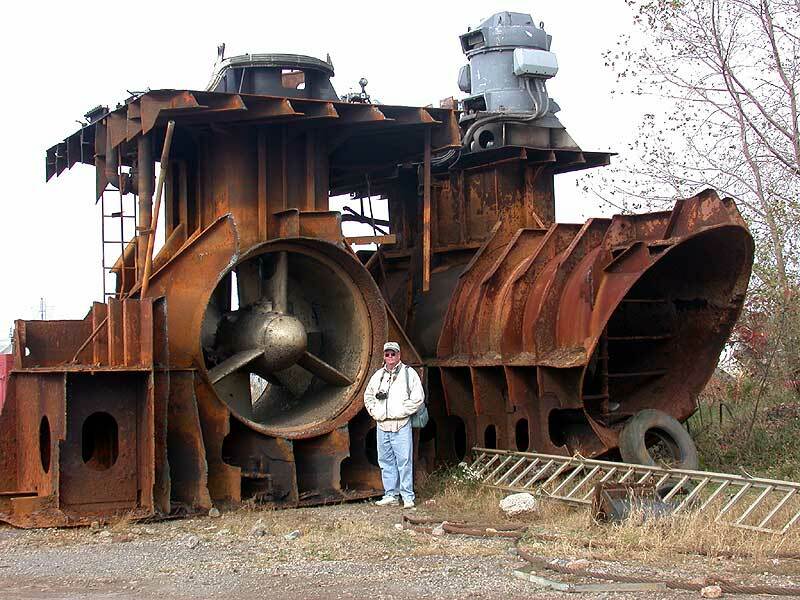 Although the weather was cloudy for much of the time, that didn't deter boatwatchers from photographing classics such as Canadian Provider or Maumee, or touring the International Marine Salvage scrapyard Saturday morning. 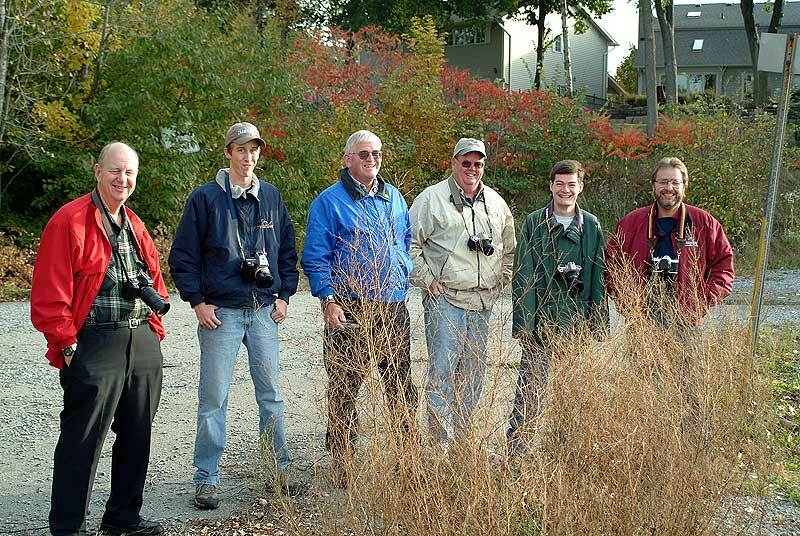 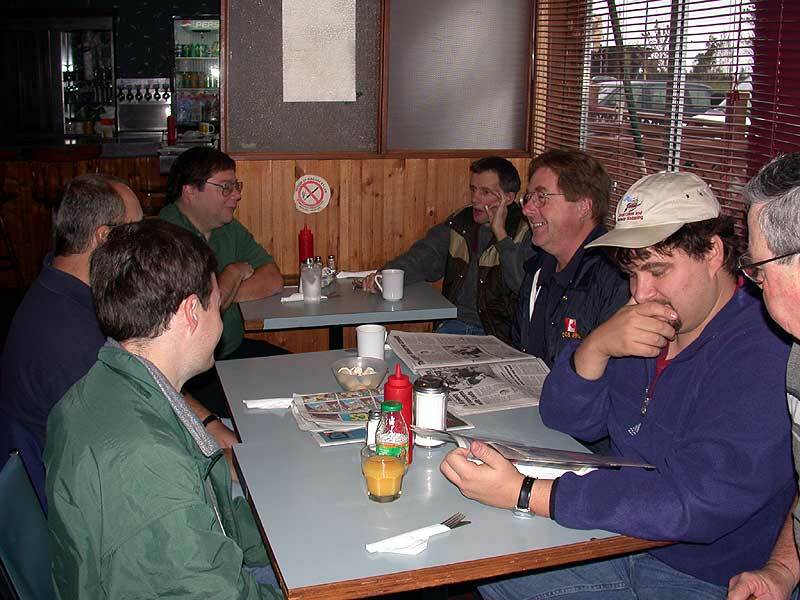 The gathering was sponsored by “Great Laker” magazine. 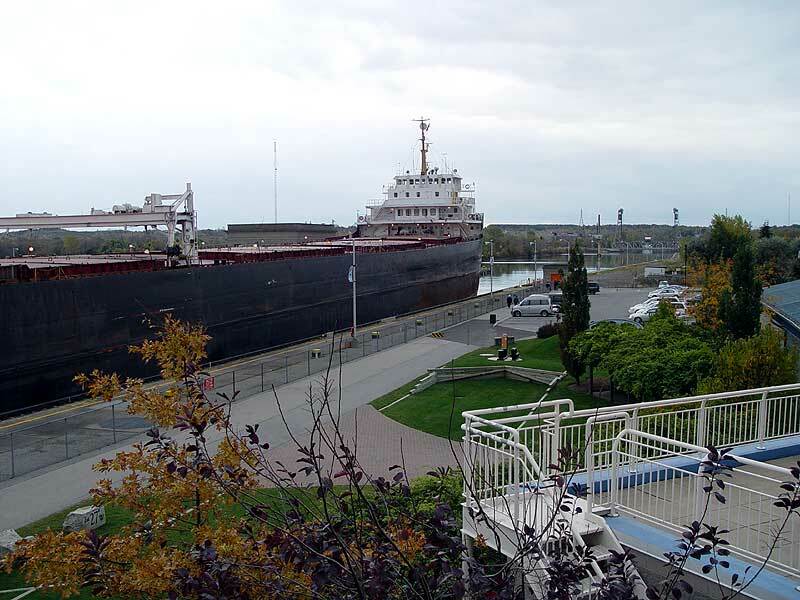 Events began Friday evening in the Burgoyne Room of the St. Catharines Museum at Lock 3, which welcomed our group with a special pre-meeting presentation by members of the Ontario Marine Heritage Committee who offered a video on the St. Catharines Shipwreck Millennium Project. 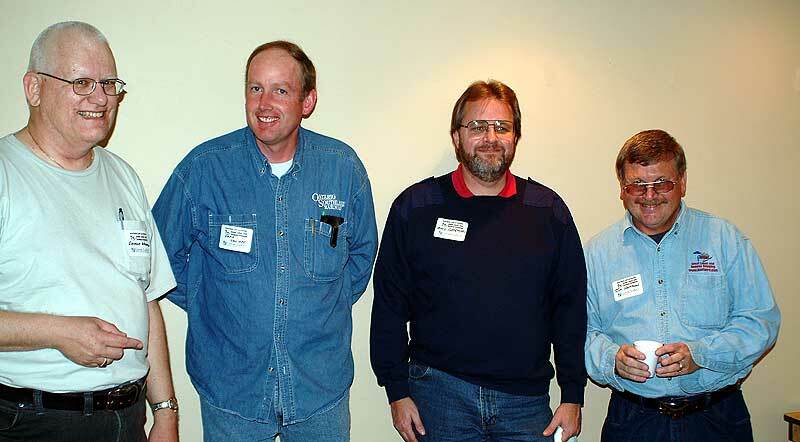 The video was followed by an informal slide show and swap meet. 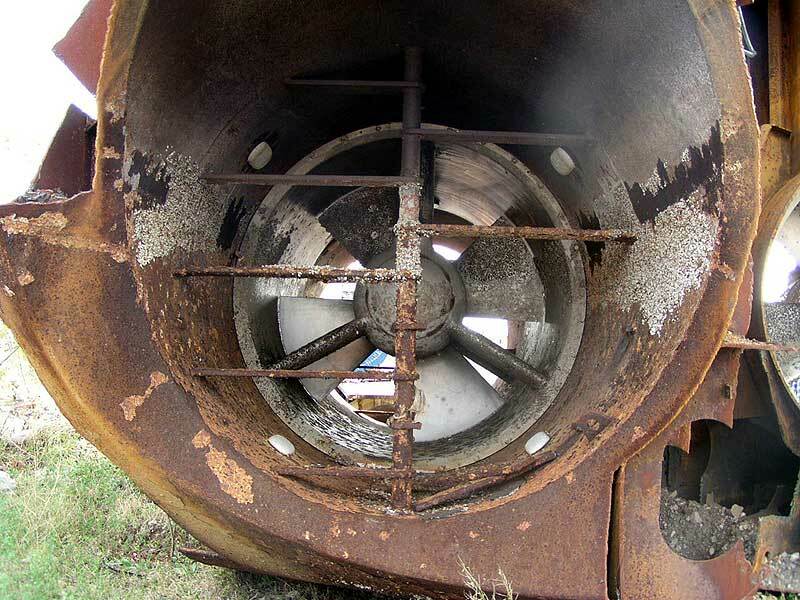 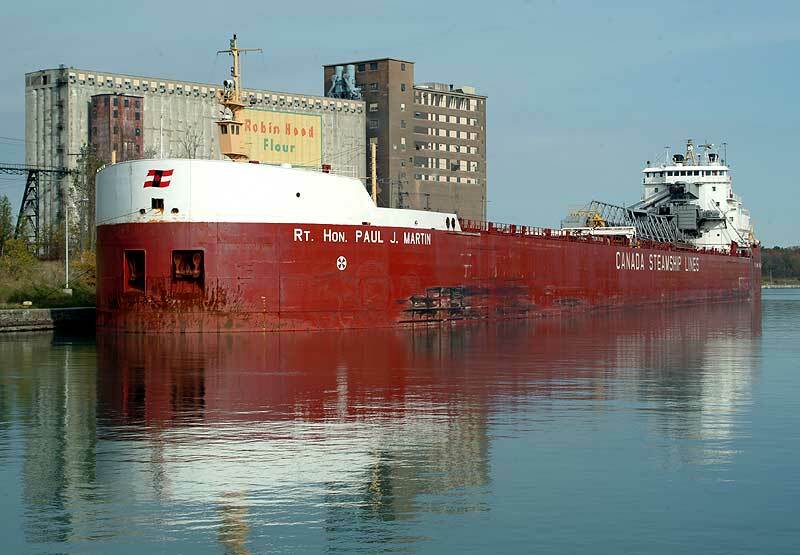 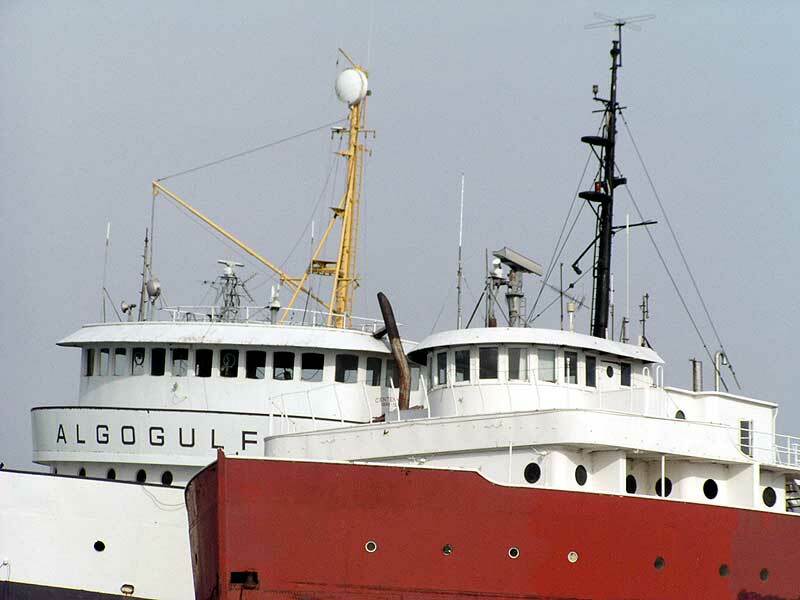 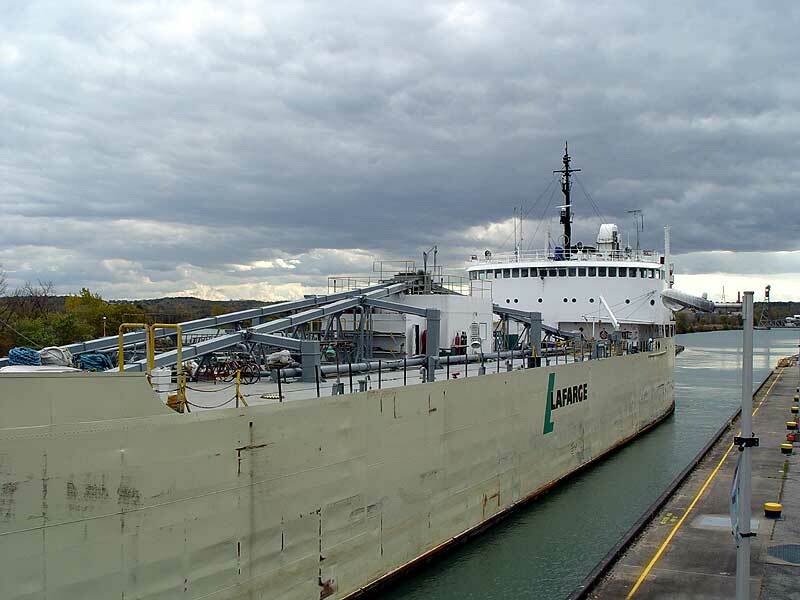 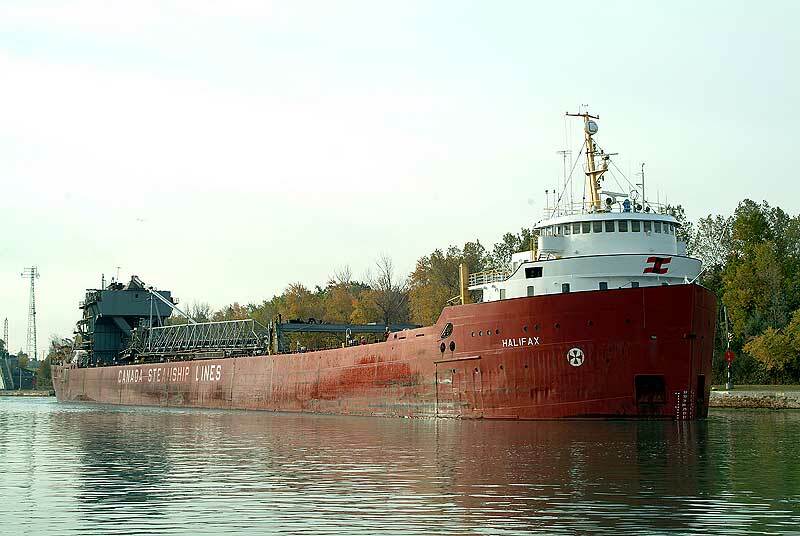 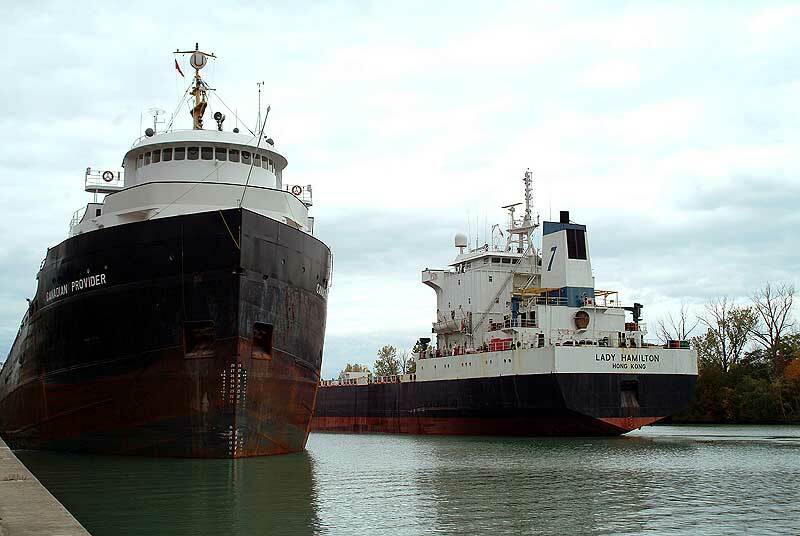 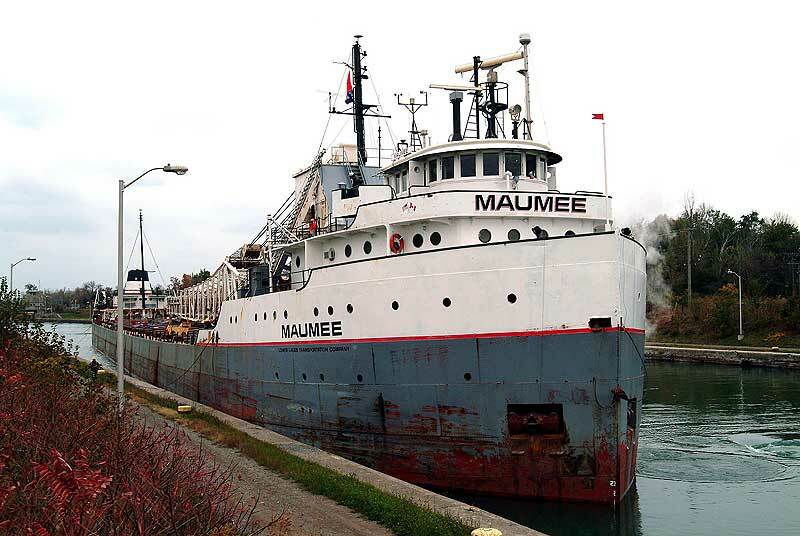 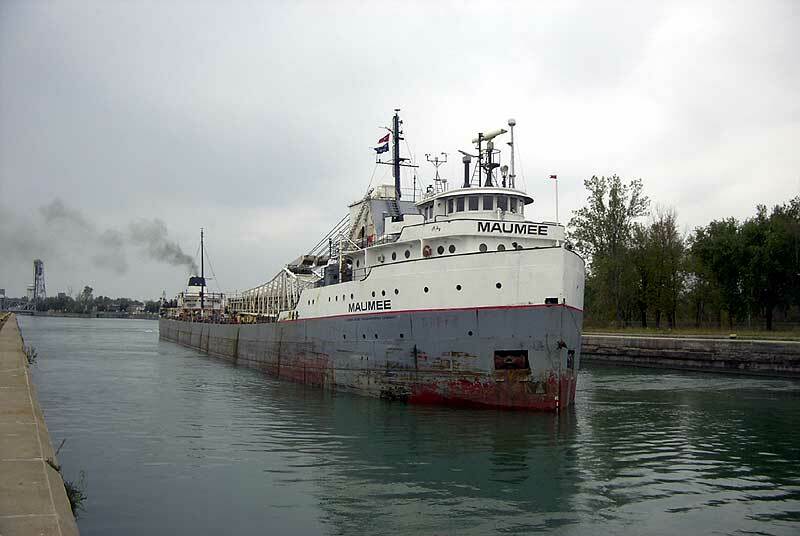 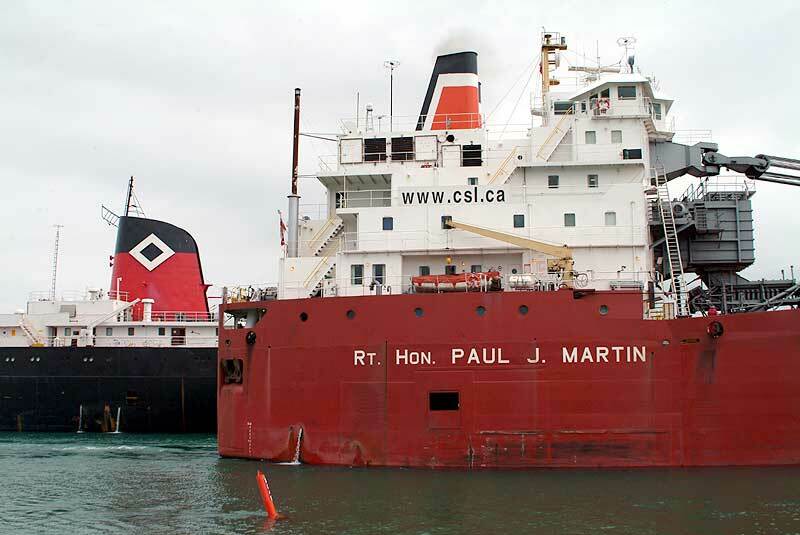 On Saturday morning, attendees were treated to a yard tour of International Marine Salvage in Port Colborne, where the lakers Kinsman Enterprise and Algogulf are being cut up. 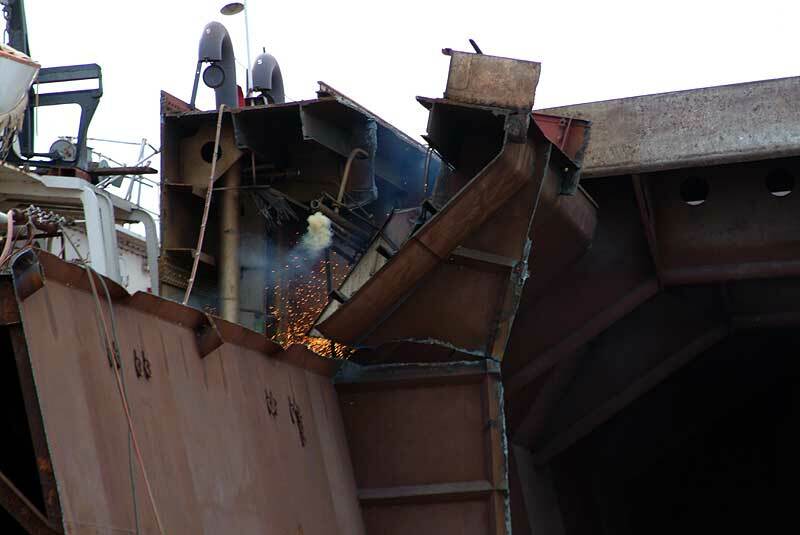 As we watched, torches were busy slicing off chunks of the Algogulf's hull. 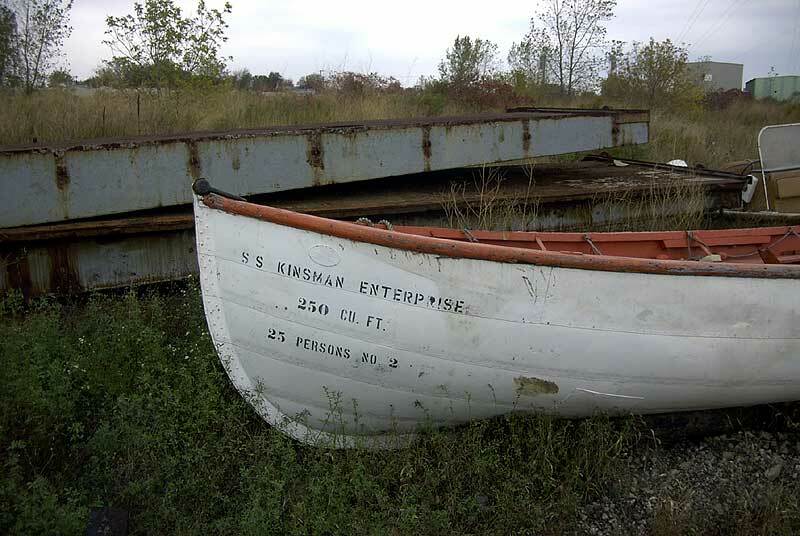 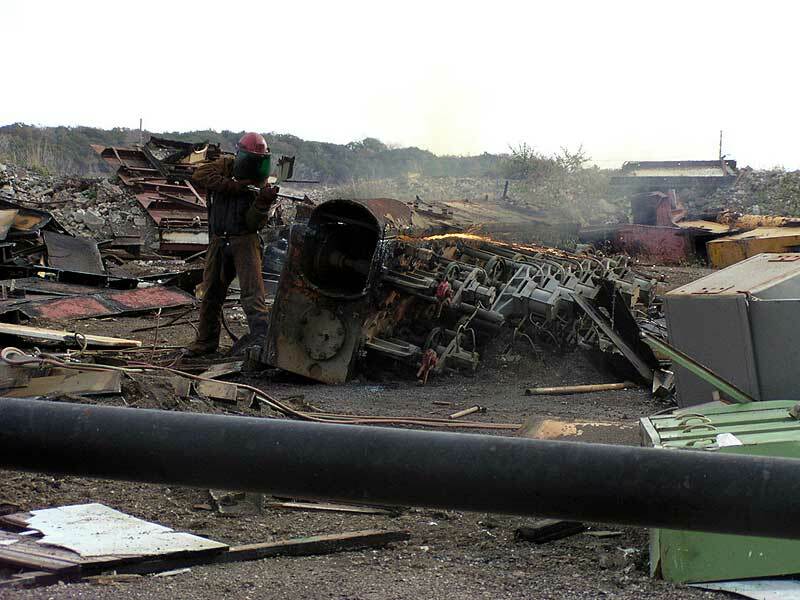 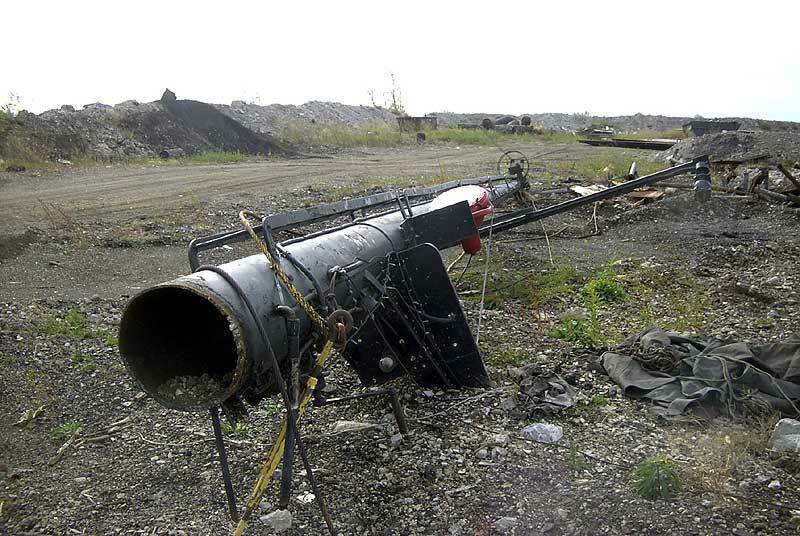 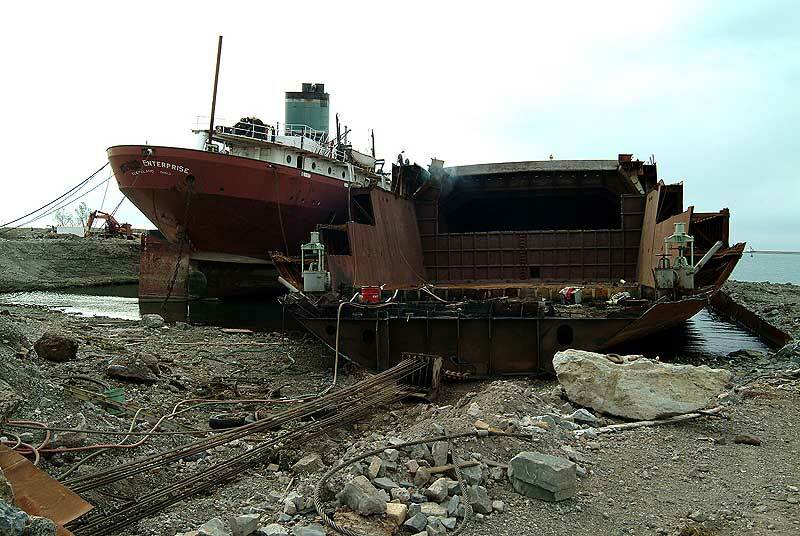 Demolition has started on the Kinsman Enterprise as well, with pieces of her aft cabin and engine room machinery already scattered around the dock. 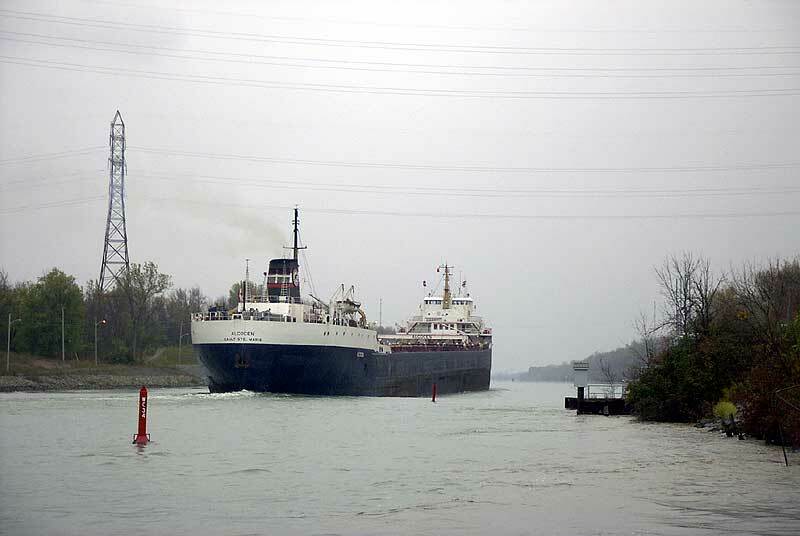 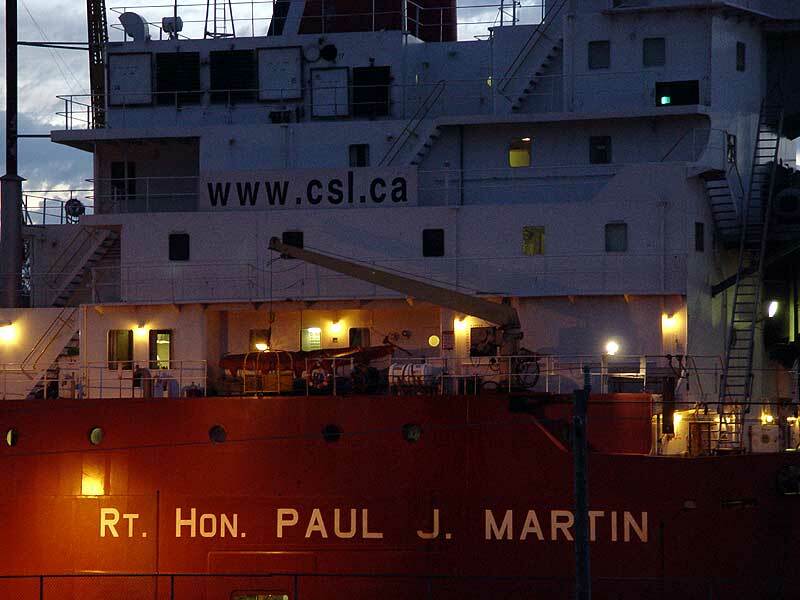 On Saturday evening, the Boatnerd group joined forces with members of the Welland Canal Ship Society for a well-attended slide show and swap meet at the Canadian Corps Hall. 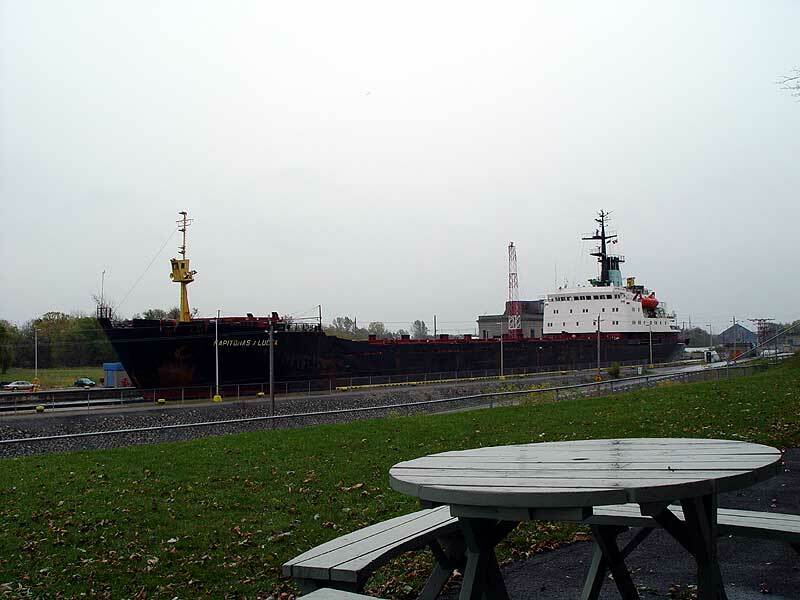 Thanks to Rosemary Harter, Megan Gilchrist and Char at the Lock 3 Museum, Barb Faeth (who did such a great job selling raffle tickets), Wayne Elliott and John Cook at International Marine Salvage, Ed and Patty at the Inn at Lock 7, Jimmy Sprunt from the Welland Canal Ship Society, event organizer Dave Wobser and everyone who brought slides or other items to share with the group. 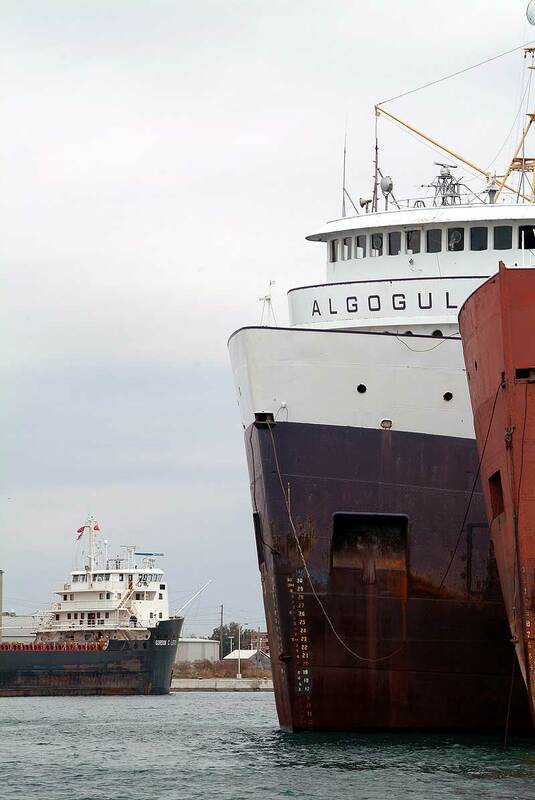 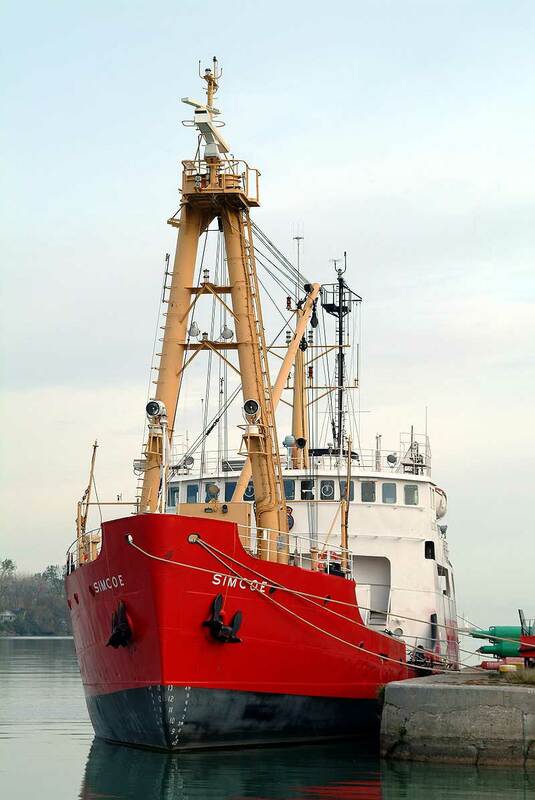 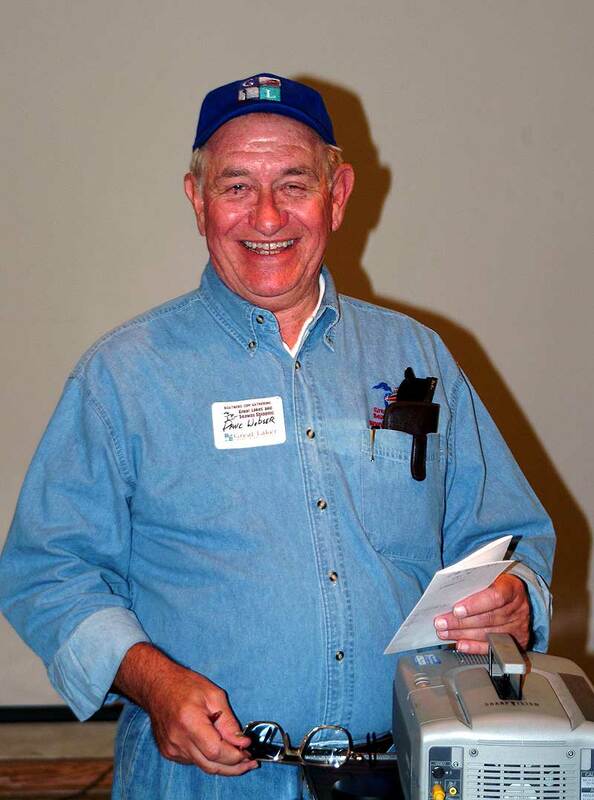 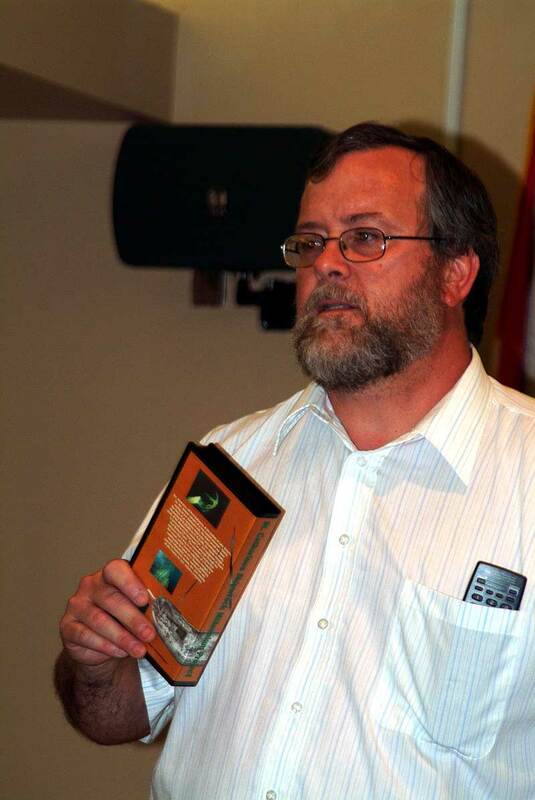 Raffle prizes were donated by Mike Dills (Fresh Water Press), Marine Publishing Co. (“Know Your Ships”), Veronica Petron at Force-5 Trading/Anything Promo, Algoma Central Marine, the American Steamship Co., Marine Historical Society of Detroit and the Hamilton Port Authority. 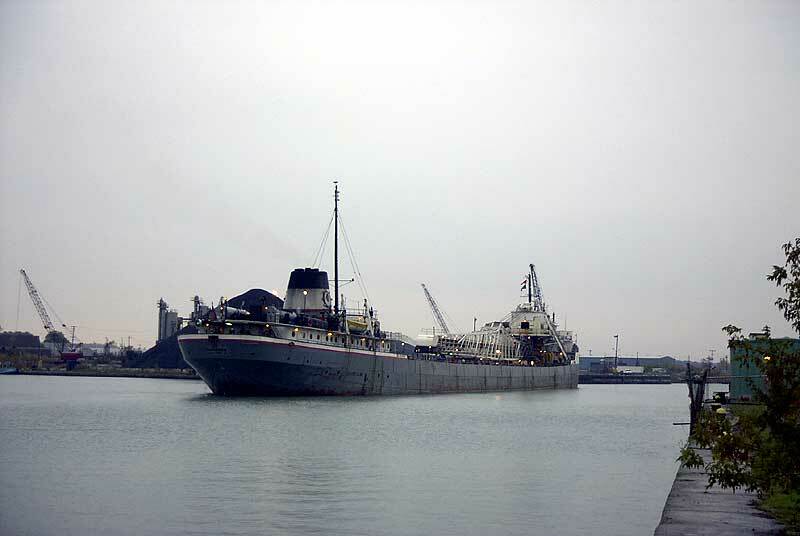 Funds raised by the raffle paid for rental of the room, with the balance turned over to the Welland Canal Ship Society. 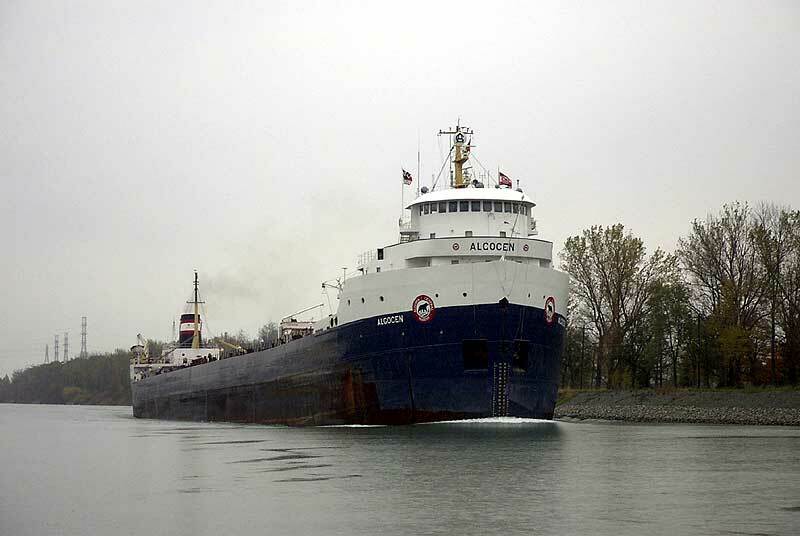 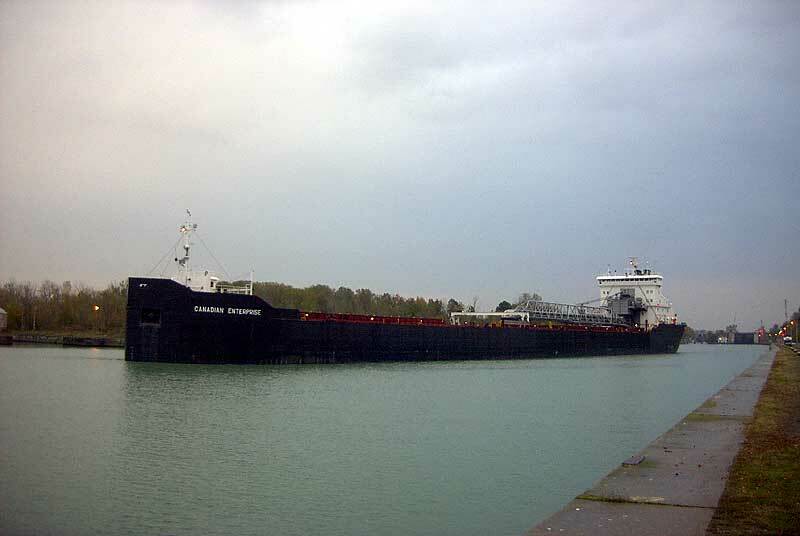 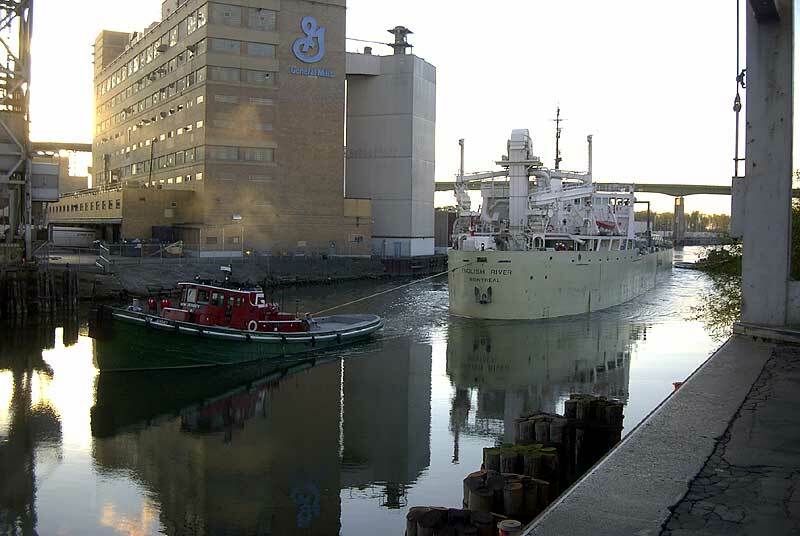 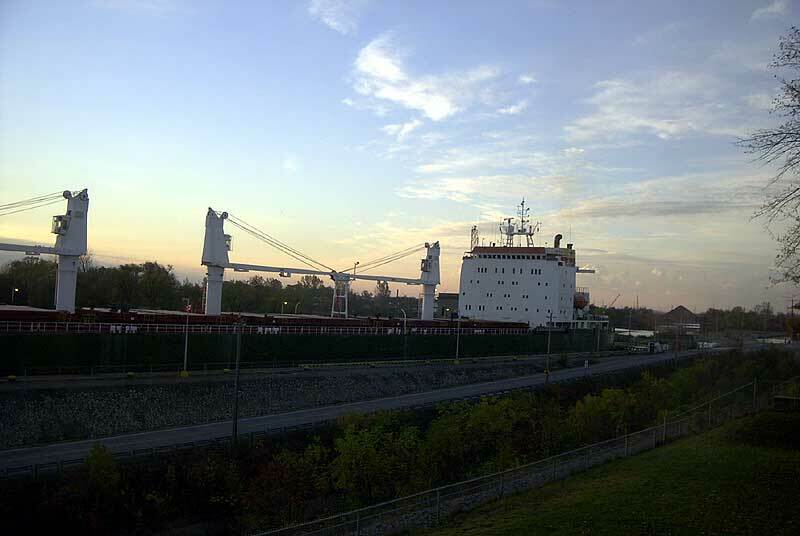 Algomarine passes through Lock 3 during the show. 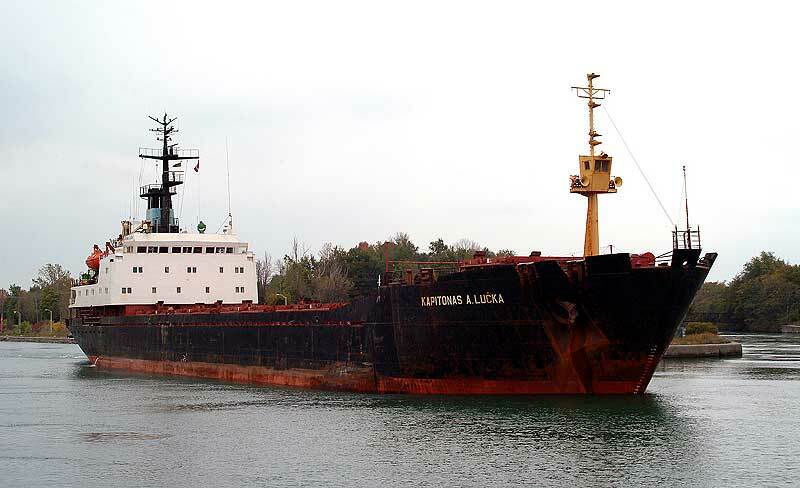 Saltie Kapitonas A. Lucka leaves Lock Eight. 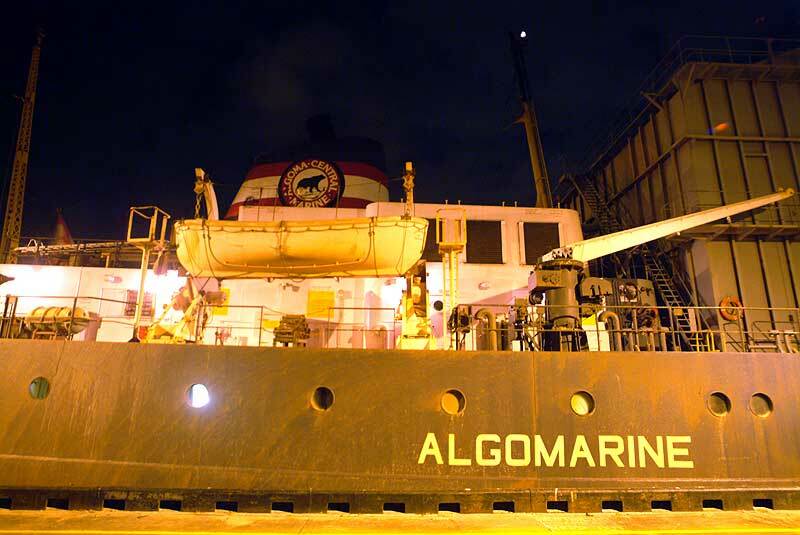 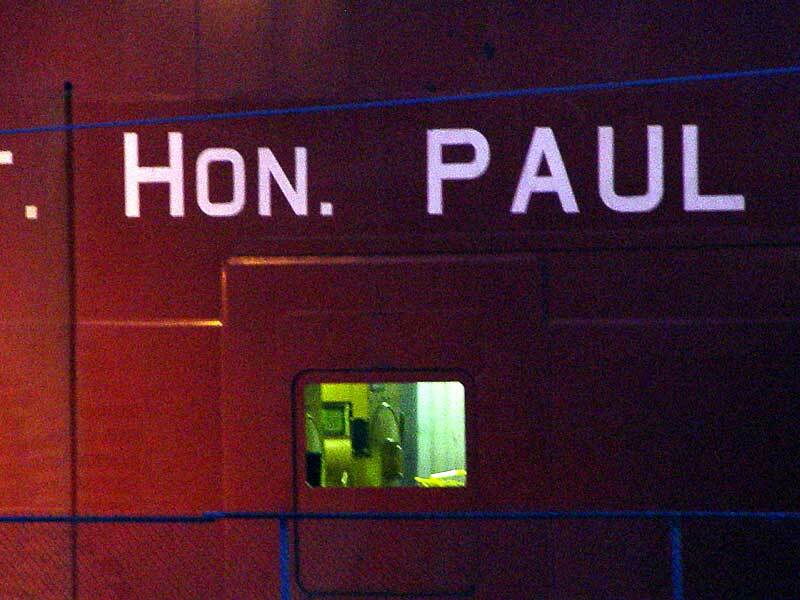 Algogulf, Kinsman Enterprise, bow view. 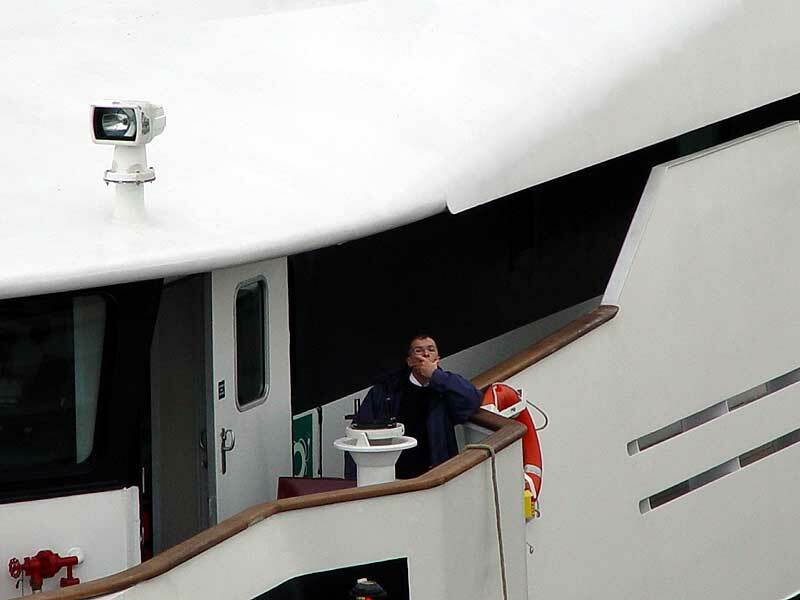 Martin waits above Lock 8.